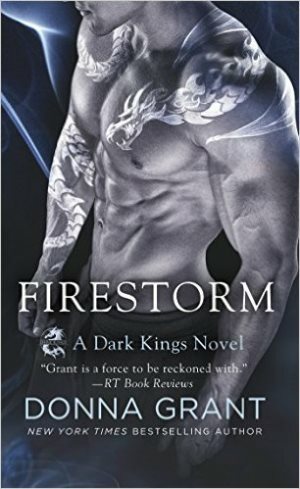 FIRESTORM by Donna Grant features Dimitri who is the Dragon King of the Whites. He returns to his homeland to investigate the matter the King of the Kings requested of him. Dimitri poses as the excavating party’s hired muscle while searching for a discreet way to destroy a skeleton. The sight of the bones, however, fills him with guilt, yet the preoccupied archaeologist promises to unravel the deceased dragon’s mystery. Faith rouses Dimitri’s instinctive need to protect. 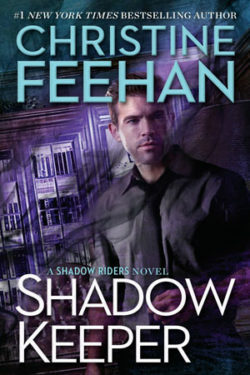 He convinces her to bring the skeleton to Dreagan when the Dark Fae targets members of Faith’s party. Something follows them from the dig site and wreaks havoc. Dr. Faith Reynolds is an archeologist on a dig at Fair Isle, an island near Scotland. She insists the bones being excavated belong to a dragon and not some sub-species of dinosaur. To safeguard her find against naysayers’ intent on sabotage, Faith relies on a man her archeologist friend sent. Dimitri’s secret contradicts her scientific mindset. 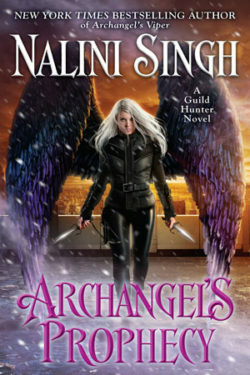 She agrees to accompany Dimitri to Dreagan to unlock the bones’ mystery after the mysterious death of a volunteer on her team. However, calamity follows Faith and Dimitri, infecting the other Dragon Kings. 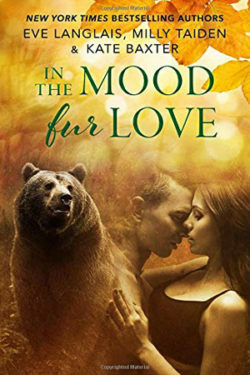 Can Faith and Dimitri’s love survive the ultimate test? I could not remember Dimitri from the previous books, so I withstood judgement until his personality became evident. He never once concealed his poor opinion of the human race, proving his point by bedding only Fae females. I like how Faith’s reverence towards the skeleton reverberates within Dimitri, which subtly changes his general perception of her species. I empathize with his deep remorse for leaving a fellow dragon behind during a chaotic and uncertain time. I love how Faith helps him come to terms with that guilt and move on. I could not help but adore Faith. She is a straightforward woman, one who acknowledges the fact that she does not need a man to complete her life. 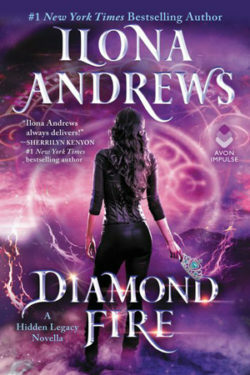 Faith may be a scientist, yet after witnessing Dimitri’s transformation, she keeps an open-mind to the irrefutable proof of magic’s existence. I love the nickname she attaches to Dimitir on their first meeting, and how throughout the story, she refers to him by that nickname. What I like most about Faith is the reverence she shows to the bones. 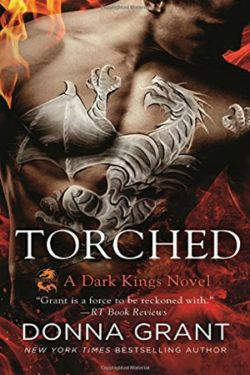 FIRESTORM is book ten in Donna Grant’s paranormal series, DARK KINGS. Unfortunately, there are a couple books and novellas in the series I have not read, yet I have read enough to follow the storyline without getting lost. 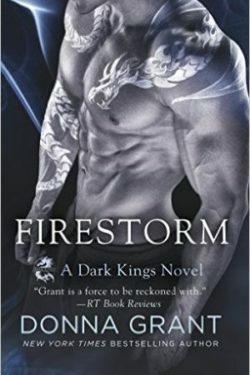 FIRESTORM can stand alone, but it is best to read the prior books and novellas to understand the series’ overall plot and the characters involved. FIRESTORM is an addictive story filled with an irresistible mixture of magic, intrigue, and action. I am intrigued by the enigmatic element Donna Grant included into the mix, building more suspense to the series’ unfolding story. I cannot wait to learn about the Dragon King’s new adversary.